Thomas’s superb visual sense supplies object, detail, nuance and builds these into moods that cry for picturization … . The technical brilliance reminds us … of the silence death has imposed on a voice that could speak so eloquently in so many forms. Dylan Thomas’s principal works for film and radio provide a rewarding experience for those readers who know him only through his poetry and stories. The Doctor and the Devils is the scenario for a feature-length film. This tale of murder is based on the famous case of the Scottish body-snatchers Burke and Hare, who thrilled newspaper readers in the mid-nineteenth century and whose crimes are still relished among homicide buffs today. Giving full rein to the macabre, Thomas created characters and an atmosphere worthy of his best short stories. 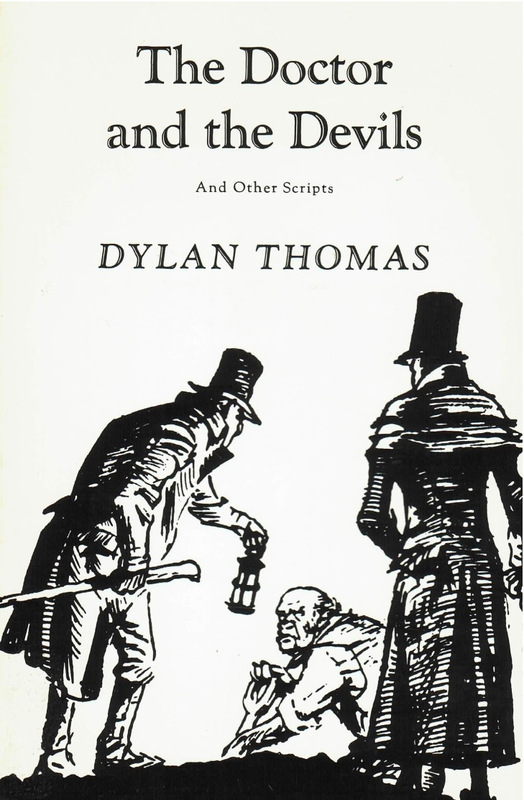 There are also other Thomas scripts: his unfinished screen adaptation of Maurice O’Sullivan’s autobiographical memoir Twenty Years A-Growing, with a synopsis of Thomas’s probable approach to its completion; a short radio play produced by the BBC in 1946 and directly related to the later Under Milk Wood, with an essay in which Ralph Maud traces the textual relationship; and a group of captions in verse for photographs in the British magazine Lilliput.